Constructing the best golf clubs includes the right mix of compromise and technology, however Srixon is proving that while clubs can come from the same family, they are not made alike. Taking player’s needs into consideration, Srixon is introducing the high launching, low spinning, low lofted Z F65 fairway woods, in compliment with their high launching, spin optimized, high lofted Z F65. Not only will golfers be able to find an improved transition between their woods and hybrids or irons, but also the ability to take on their ideal shot shape regardless of which fairway is in hand. New Stretch Flex Cup Face – Face has been extended farther around crown and sole to create a larger sweet spot. New Crown Design- A strategically placed crown step lowers CG, which promotes a high launch and low spin. New Arc Support Channel – The Z F65 #5 fairway wood features the new Arc Support Channel. This technology has been proven to tighten dispersion by promoting a higher launch and optimal spin across the face, especially slightly above center. Looking with blurred eyes, the Srixon Z F65 has a very neutral presence about it. A classic glossy black crown, polished metal face, and a singular weight on the sole that does not slide, twist, or move. 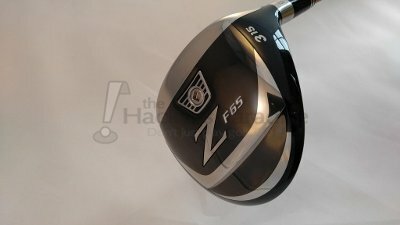 It is a look that Srixon carried over well from the Z F45 fairway lineup, however this time, they introduced some distinctly unique technological elements that set the Z F65 apart from not only former Srixon releases, but other current wood offerings. Running along the crown of the Srixon Z65 fairway wood sent for review (3/15°) is a visible variation in the crown height. This ‘step’ is constructed to lower the CG in the lower lofted offerings, promoting higher launch with lower spin. While this seems to be intended as a technological benefit, the visible references generated by the step, which runs parallel to the face and then extends backwards does a very nice, subtle job of framing the ball at address on an otherwise blank crown. Based on the explanations provided by Srixon, weight pads have been front, heel, and toe sections of the Z F65 fairway wood in order to increase the MOI across the face, which is quite interesting considering the central location of the visible sole weight. The discussion of forgiveness will be touched on later in this review, however it is worth noting that consistency in distance was strong despite some less than stellar strike locations. This extended MOI concept is bolstered by the “stretch face cup” face technology, which keeps the welds away from the edges of a thinner face build, increasing the strike quality further away from center. During testing, the overall flighting for the Srixon Z F65 fairway wood ranged between a mid and a mid-high launch depending on the type of swing applied. With player profile considered, the final assumption suggests the fairway will be a mid flight in total, especially off the tee. Teeing the ball higher introduced a much stronger launch angle as upper portions of the face got more involved with the equator of the golf ball. Moving the ball lower on a tee or even onto a fairway lie introduced a fairly convincing mid flight that traveled well before falling to the turf and rolling out with the potential for bounce in most situations. 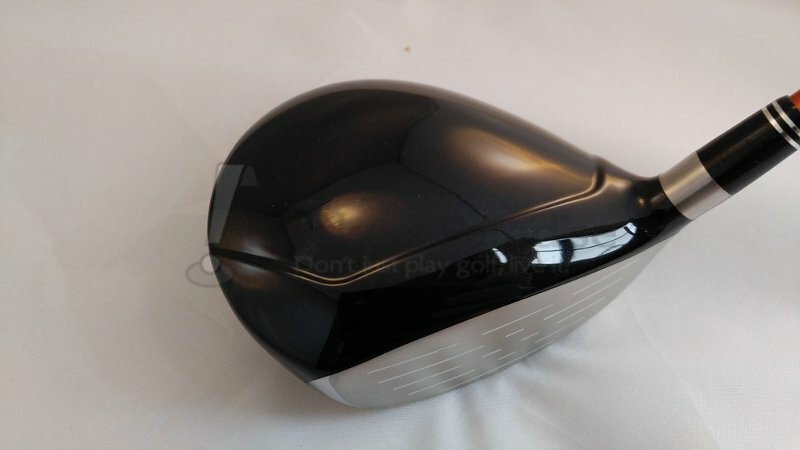 Defining the sound of the Srixon Z F65 fairway proved to be quite difficult as it introduces as a very neutral profile. The sound it generates is not remotely manufactured or muted, but rather, it simply projects the sound of a relatively solid structured metal object being contacted by a golf ball. Moving around the face does have some marginal sound changes, where the lower portions of the face lack some of that lively sound that is generated in the central location. Throughout the course of the testing experience with the Srixon Z F65 fairway wood, there rarely seemed like an occasion where flight flexibility was not present. Despite a very slight draw bias seeming to be present for a majority of the testing, the ability to manipulate the flight to inject fades and heavy draws was extremely easy to accommodate. Hitting the ball clean with a draw to maximize bounce only to follow that shot with a cut swing for slightly increased launch and spin to launch soft showed the versatility and flexibility in shaping. 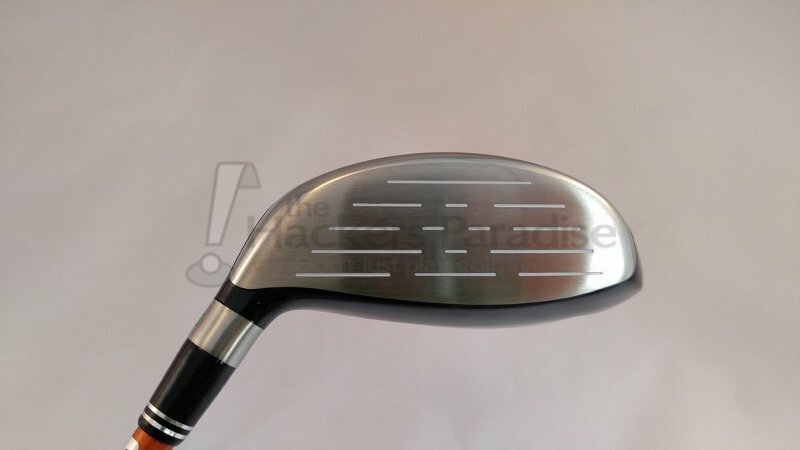 Forgiveness is a very important element in the fairway wood, especially one that acts a driver replacement (3+, 3, and 4 wood lofts as samples). It seemed very common to experience decent distances with strikes that fell away from center, especially those which roamed towards the higher portion of center toe. Even strikes low on the face produced acceptable distances, especially with firmer conditions allowing the ball to travel further after striking the fairway. The leading edge of the fairway does not seem to overly encourage a great deal of turf generation, making the ‘heavy’ shots do more bouncing than digging behind the ball. 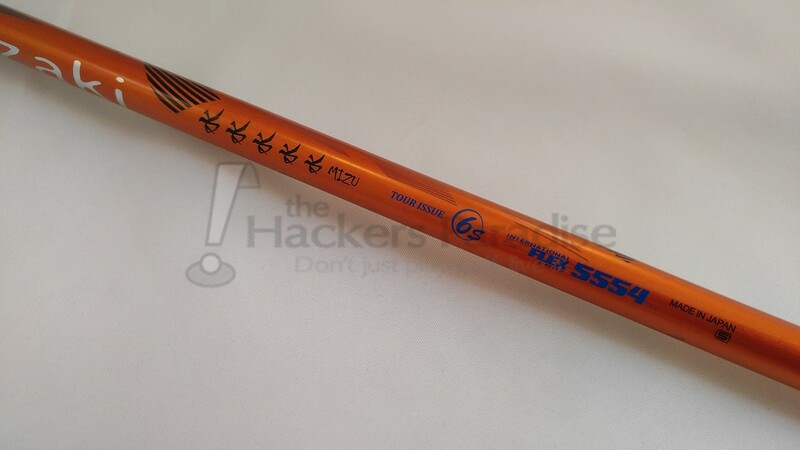 The Miyazaki Kaula Mizu 6s is a great neutral flex fairway wood shaft that will add some speed in comparison to the more typical 70+ gram shaft offerings, but will maintain reasonable control while generating extra swing speed. 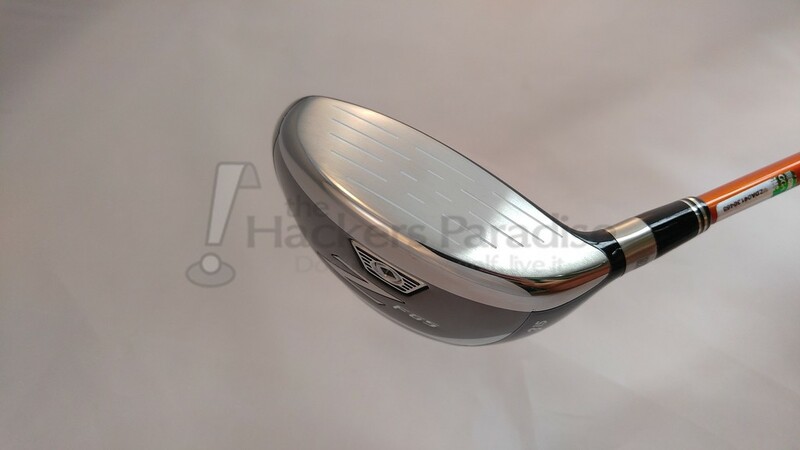 During testing, the Kaula Mizu held up beautifully to swings ranging from about 90mph to 110mph, confirming the strong selection for this particular head. The Srixon Z F65 fairway wood bridges the gap beautifully between driver and hybrids, offering a solid sounding strike with forgiveness across the face that many skill levels will enjoy. They have constructed a series of woods that suit not only the golfer, but the situation at hand, and give the more selective player an opportunity to decide what makes sense for their bag in the 19 degree slot. For more information on the Srixon Z F65 fairway wood, visit www.Srixon.com. Good review of this Club. I like seeing the face framing aspect for alignment. Glossy crown is a plus. Not over impressed with the sole design for me it doesn’t really work for my eye. Thanks for the review. Some good story information in this and it brings up some questions. I currently have a Callaway x2hot fairway wood and a tailor-made m2 fw wood and both hit too low for me. i am looking for something that is a little bit more forgiving low on the face and this sole seems like it might fit. can you compare with either of the two i have and if not can you explain what make contribute to a fw wood launching higher for me? Excellent little write up dan and a great breakdown of the tech. Sounds like something right up my alley as a guy who needs, and loves, more launch. MSteeves thanks for the question. I’ve spent quite a bit of time with both the heads you’re referencing and feel the Srixon fairway would be a different experience in total. The head size from sole to crown is a very nice middle ground between the two while the sound is quite a bit more lush and metallic, providing a much more lively contact sensation from the m2. I’ve seen a mixed response from the m2 in terms of launch being too low, and similar to the x2hot when paired with the aldila tour green. I think you’ll find the miyazaki kaula head pairing with the Z F65 head to launch easily and quickly. thank you so much. i think i am going to give it a try cause i am looking for something that will get up in the air without a sacrifice of distance. great review, my favorite review site out there.